Working towards a world class rail network for the North, improving passenger’s journeys with better times frequency and capacity. Strategic Rail, which became a part of Transport for the North in April 2018, was formerly known as Rail North. We have secured and are leading two transformational and investment-led rail franchises for the North, marking the start of increased local investment and greater local control. Bringing together local transport authorities across the whole of the North, we are also responsible for shaping the strategic and economic development of the network for rail users and we work with the industry to ensure collaboration on future rail infrastructure planning and investment. Joining Transport for the North has provided strategic opportunity to join up ‘track and train’, meaning train service solutions can be developed and implemented alongside infrastructure schemes. 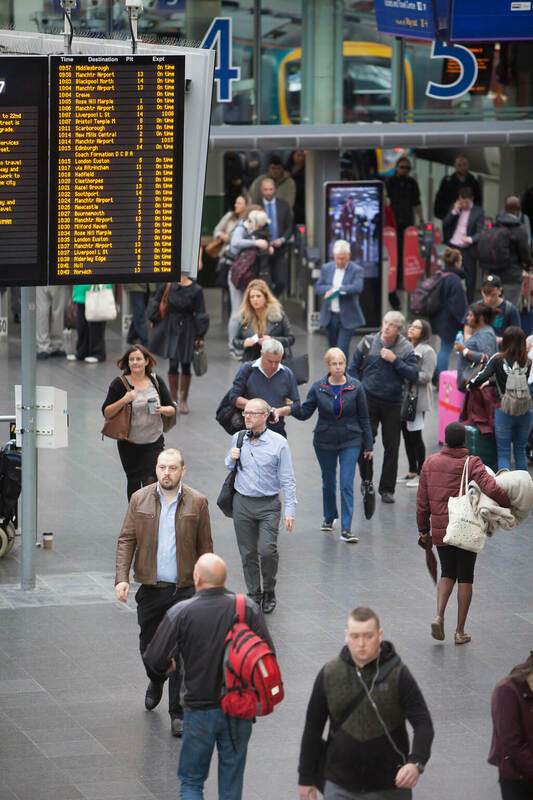 The Long Term Rail Strategy for the North of England, the first of its kind for the region, sets out our plans to develop the whole of the rail network across the North of England, and has been key to informing the draft Strategic Transport Plan. 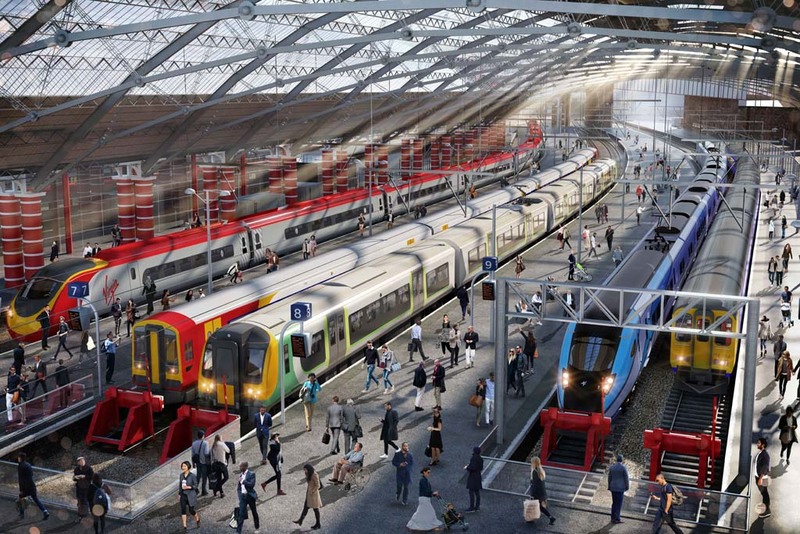 We aim to provide improved passenger and freight train services through enhanced infrastructure and radically improved rolling stock, and to support a wide programme of transformational change. 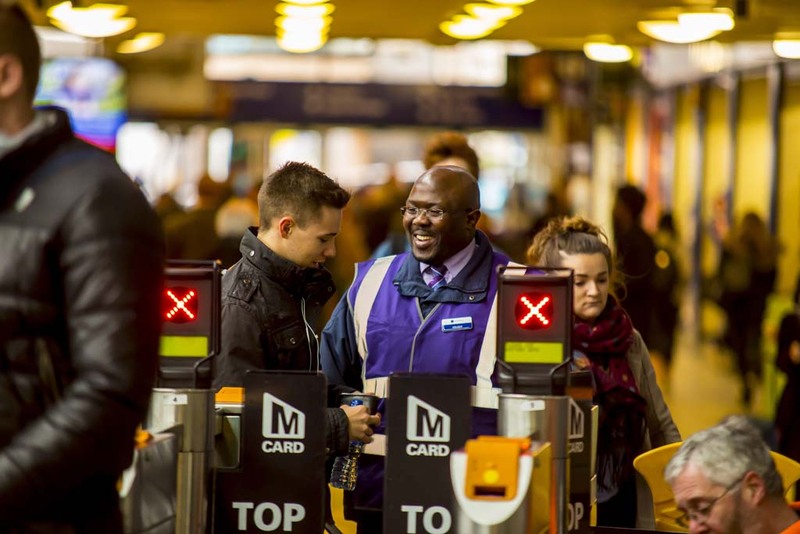 This includes working closely with the rail industry to deliver the Great North Rail Project, the TransPennine Route Upgrade, smart ticketing throughout the North and, in the longer term, working to support the Northern Powerhouse Rail Programme. We have been instrumental in bringing transformational rail franchises to the North of England and, working in partnership with the Department for Transport through the Rail North Partnership team, we are now leading these franchises. Through the Northern and TransPennine Express franchises we have secured investment in new and refurbished trains, enhanced station facilities and faster and more frequent services. By 2020 this will enable 40,000 more train passengers to travel each day and 2000 more train services to be operated every week including improved Sunday services by 2019. 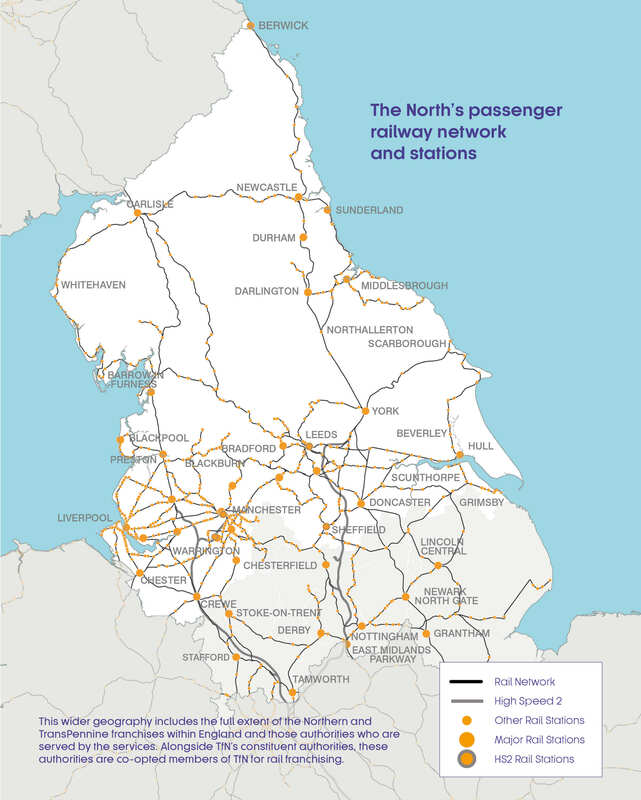 The Northern and TransPennine Express rail services run through 25 local authority areas, including the 19 authorities that sit on the partnership board of Transport for the North. We engage regularly with representatives from all 25 authorities through our Rail Officer Reference Group. For more information on governance on Strategic Rail please see our governance information. Implement, with Great North Rail Project partners, the next major timetable upgrade. Please click on the links below to download the Long Term Rail Strategy and Key Messages.